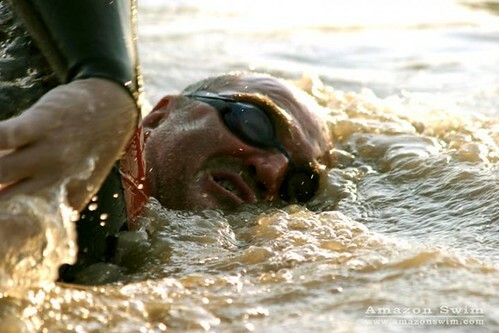 Amazingly, last year on April 8th, Slovenian marathon swimmer Martin Strel became the first man to swim the entire length of the Amazon River from headwaters in Peru to the Brazilian port city of BelÃ©m: 3,274 miles. It took him 66 days with a support crew of near twenty people following him in a boat for protection. Here is the full interview he had with Tim Ferris of the Four Hour Work Week Blog.